Since 1982, Morgan & Meyers PLC has been representing seriously injured clients in a variety of complex cases. Today, from his law firm in Dearborn, Mr. Meyers and his team represent victims of medical malpractice throughout Michigan. Through the meticulous preparation of each case, Mr. Meyers obtains outstanding results in medical malpractice cases such as failure to diagnose heart disease and heart attack in women, failure to diagnose cancer, failure to treat infections, medical errors and more. Mr. Meyers has a deep knowledge of the complex scientific, medical and technical issues involved in medical malpractice cases and regularly consults with renowned expert witnesses. He not only determines what went wrong, but also the impact it has had on the victim and his or her family members. This approach allows him to critically evaluate each client's case and develop successful litigation strategies. Mr. Meyers recognizes that his clients are looking for honest answers to the many questions raised in a medical malpractice case. He endeavors to answer those questions quickly and directly by retaining nationally recognized experts in numerous scientific, medical and highly technical fields. 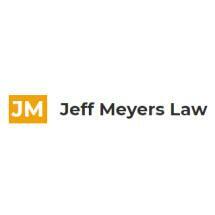 The majority of the law firm's clients are referred by other attorneys who recognize Mr. Meyers' longstanding reputation for excellence and outstanding results. He has successfully resolved through trial or settlement dozens of multimillion dollar cases and, on numerous occasions, has lectured to other attorneys on product liability and medical malpractice topics. He also served as an executive board member of the Michigan Trial Lawyers Association for many years. To schedule a meeting with Morgan & Meyers PLC, one of Michigan's most trusted lawyers for medical malpractice cases, call the law firm at 313-736-5014.